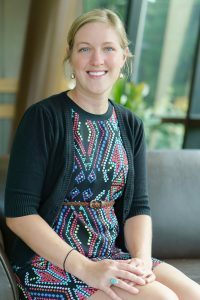 Meet Megan Ryan, FWCC Board Member and Alumni. She’s our Alumni Update for this week. We asked her some questions about her time with FWCC and what she’s up to now. 2- What is your favorite FWCC memory? Our tour to England with Fred Meads. It changed my life and inspired me to love travel and the world around me. 3- How did involvement with FWCC impact your life? FWCC has and continues to inspire me to love music, continue learning, explore the world and cultures around me. 4- What are you doing now? I am a special education teacher, and I own my own business: Southwest Honey Co.